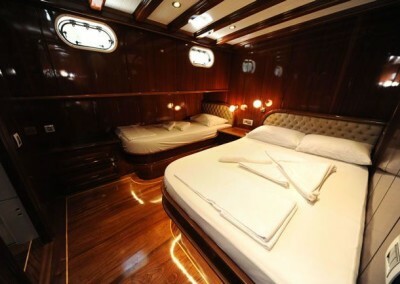 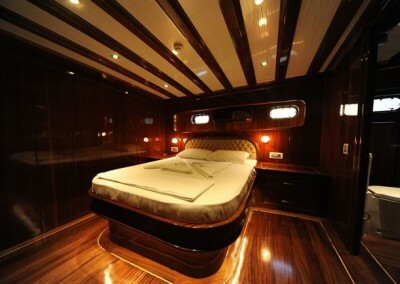 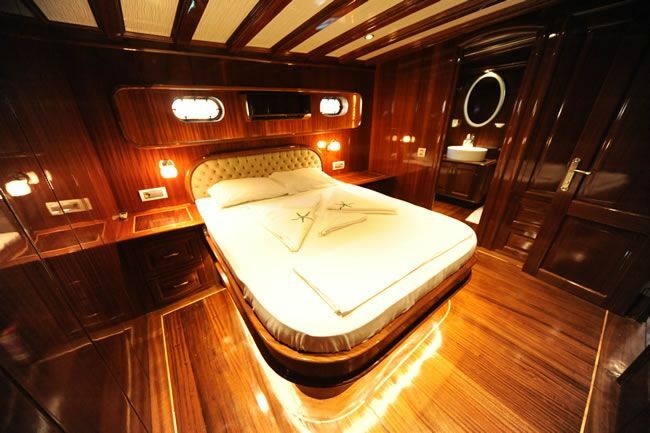 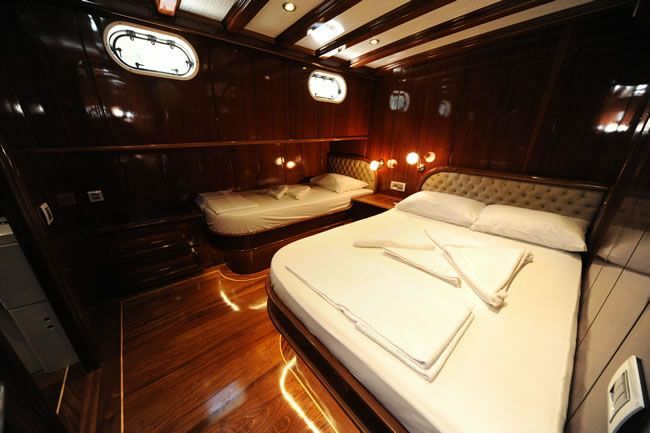 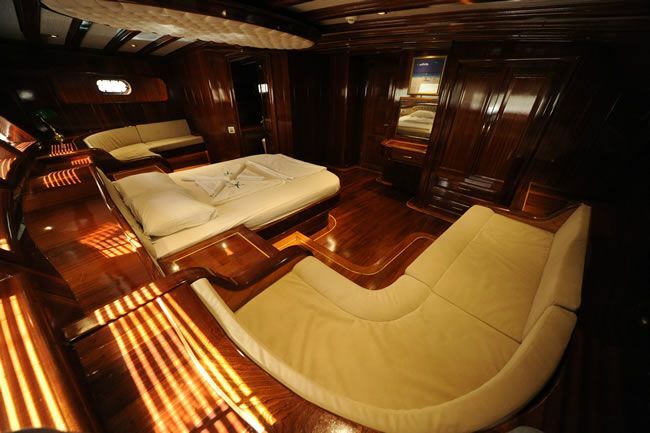 The DEAR LILA sailing yacht has a fully air conditioned interior, boasting a wealth of fine woods with intricate inlays and stylish designs. 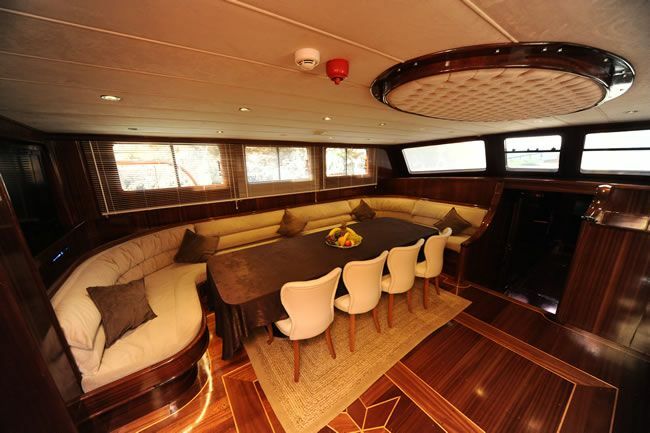 The salon is spacious and refined, with surrounding windows allowing ample natural light. 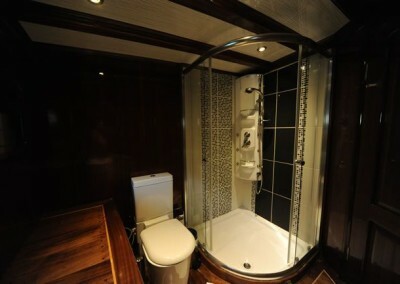 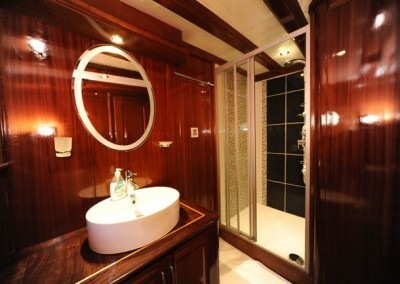 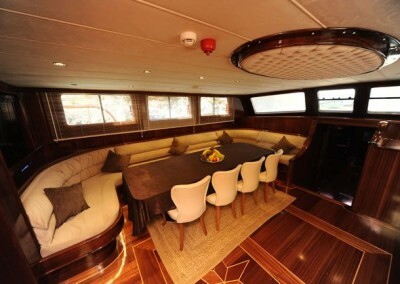 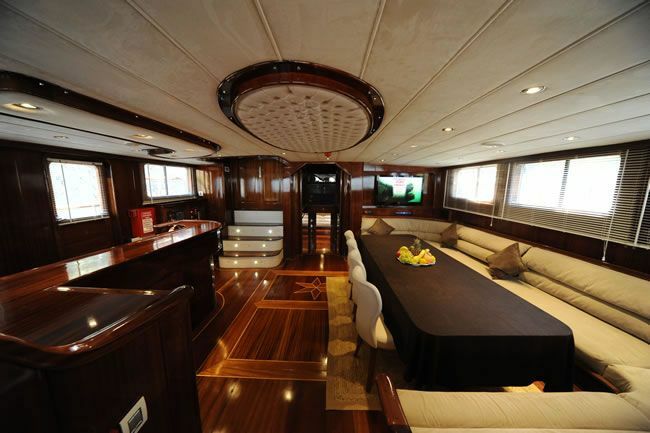 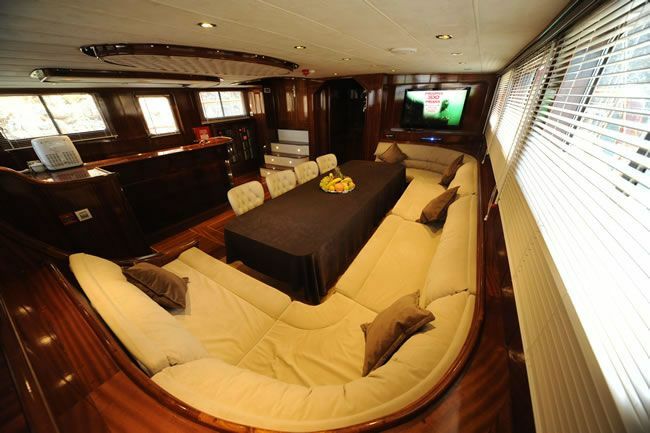 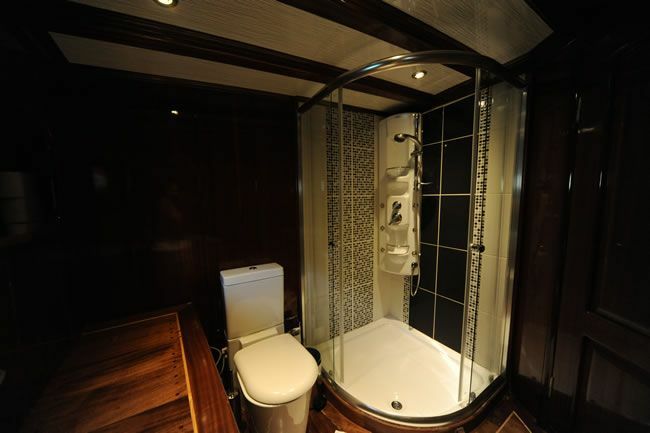 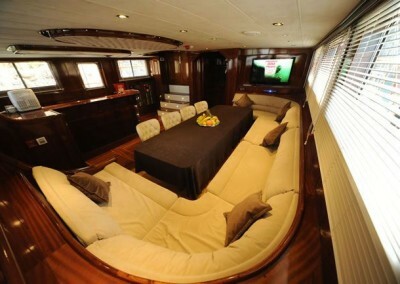 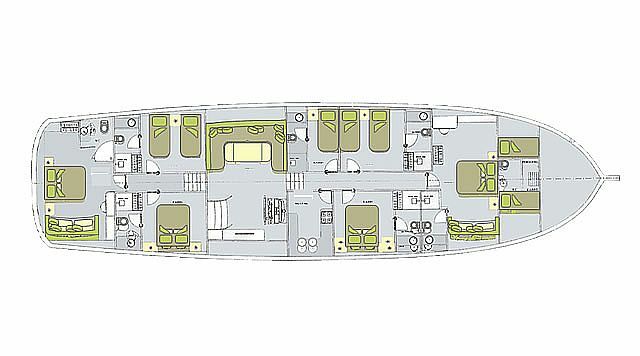 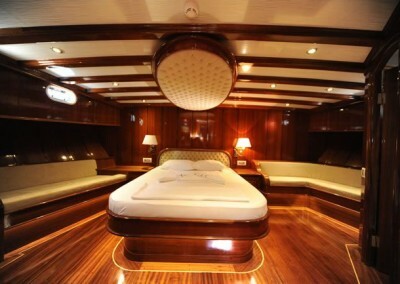 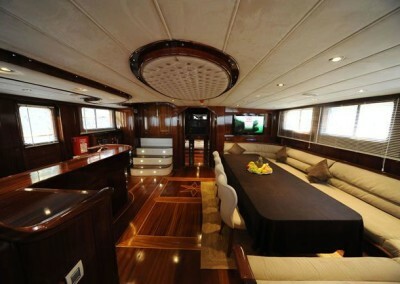 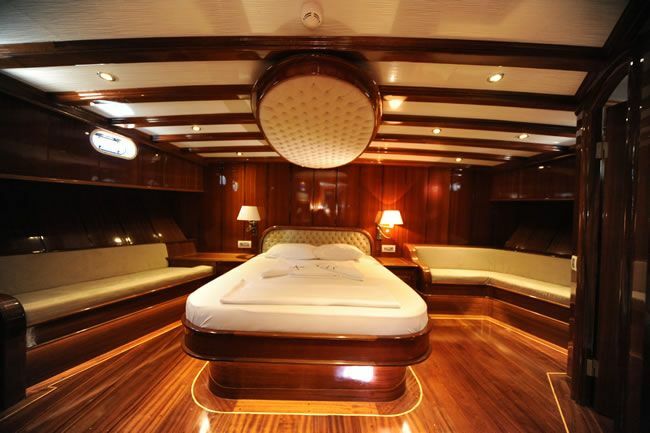 A formal dining area and large custom built U shaped sofa are on the port side, with wet bar to starboard. 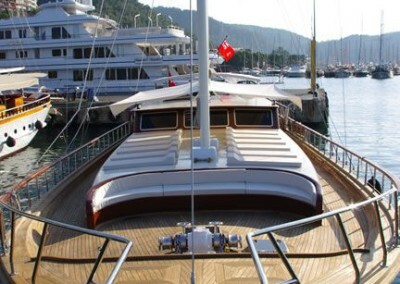 Above, the deck head features plush suede adding a glamorous feel. 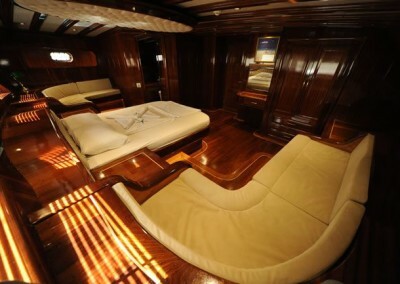 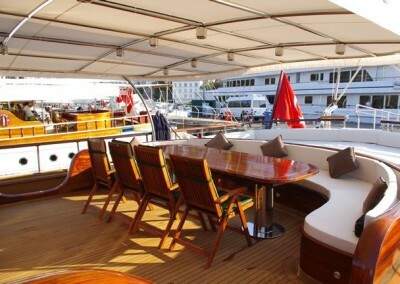 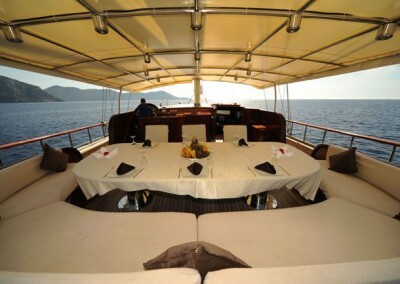 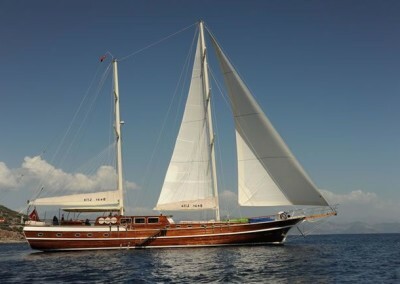 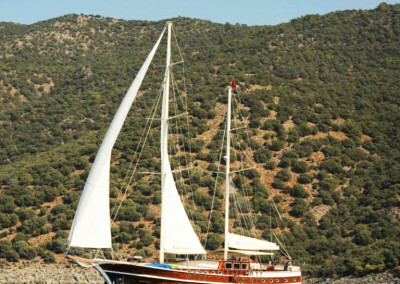 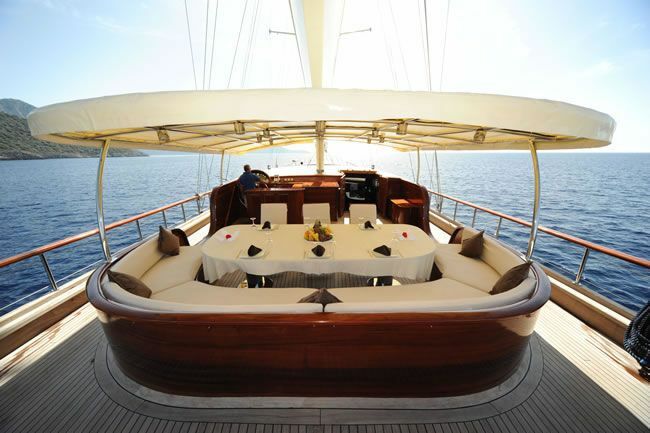 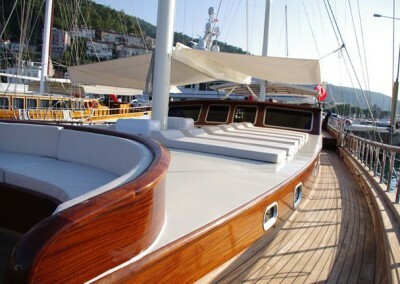 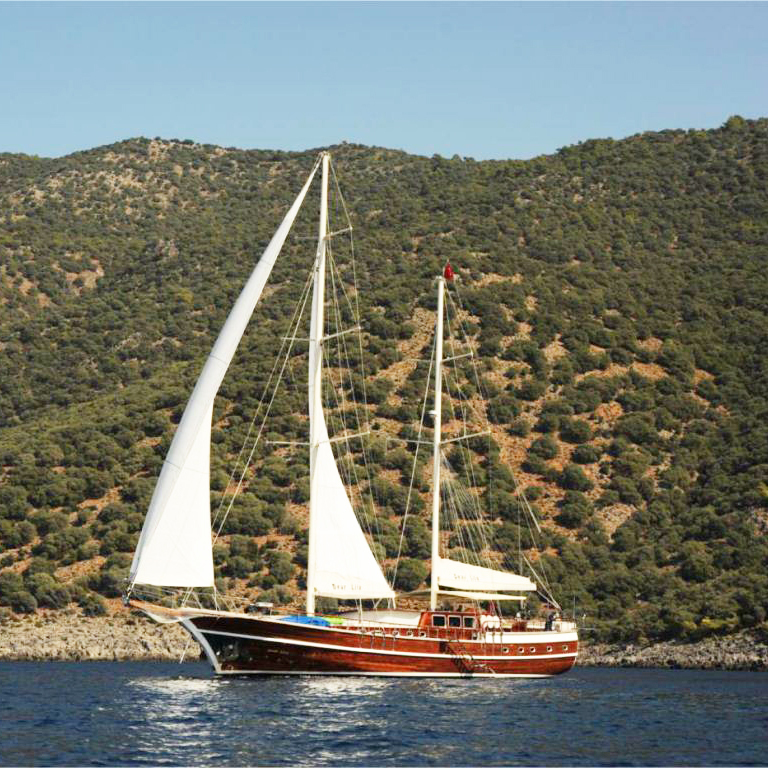 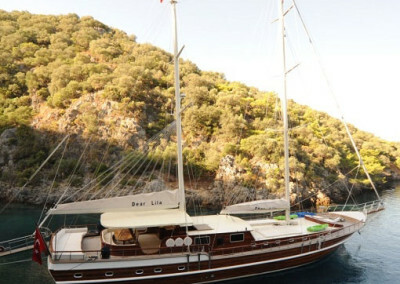 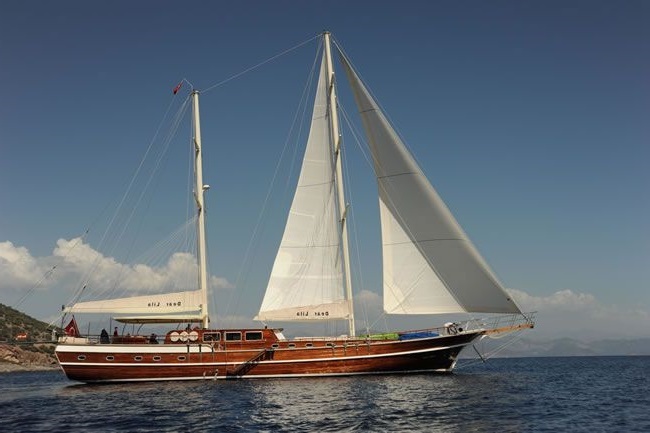 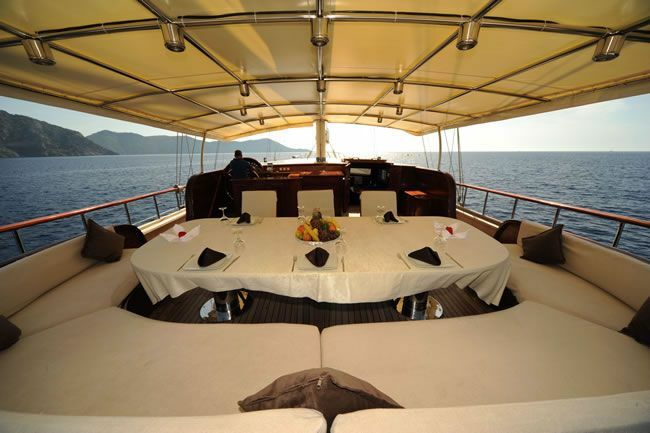 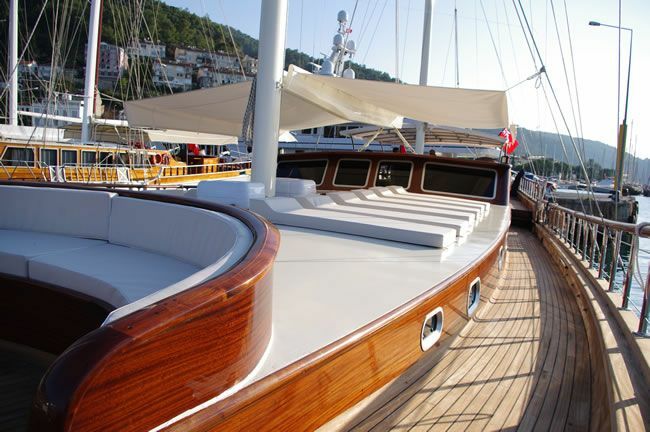 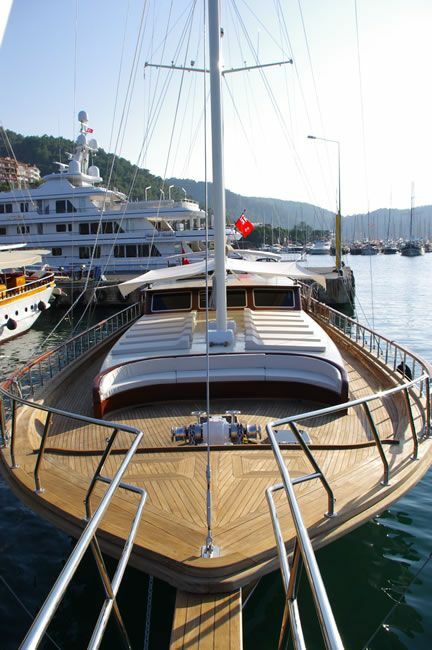 S/Y DEAR LILA has plenty teak deck areas to enjoy the East Mediterranean’s warm weather. 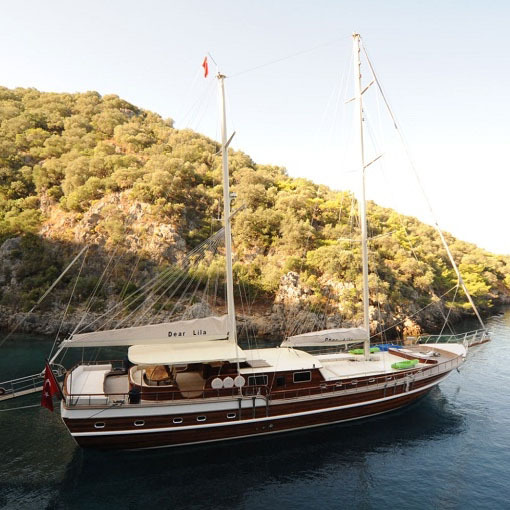 The aft deck is shaded offering a large alfresco dining option, further aft a traditional gulet full beam sunpad is ideal to catch a tan or simply relax. 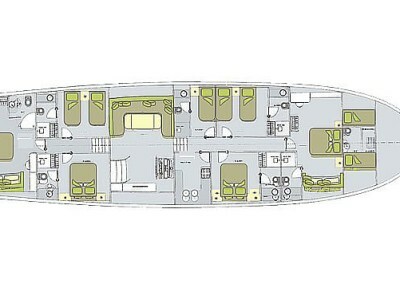 Forward of the salon cabin house, many single sunpads ensure all guests have a place to themselves and optimum views. 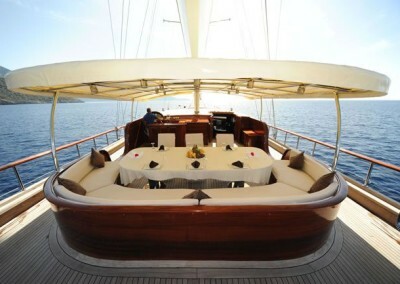 The foredeck onboard sailing yacht DEAR LILA offers a third alfresco option, perfect for evening sundowners and an idyllic sunset.